Ahhh…..is right! While it took me a few days to get used to applying a balm as my facial moisturizer, I soon fell in love with the simplicity, softness, and radiance of my skin. Created by Sharon Cox of Azhdarian’s in Washington, Ahhhh Replenishing Balm is another in her line of products in which every single ingredient has a function to nourish and reinvigorate your skin, is full of essential oils, and in a base that is creamy and decadent. This is what the ancient Greek and Roman women must have felt like! Sharon goes out in her garden and gets her ingredients – you’ve got to love that. I tested with a friend with completely different complexion and we both feel deeply in love with the results. Works great under makeup too. Patrick Marsolek of the Inner Workings Resource Center in Helena, Montana has created a variety of programs and tools to enable people to more fully access their most inner selves. Through the use of binaural beats – a frequency that “can encourage access to altered states of consciousness,” guided imagery, exercises, and deep breathing, bliss is right around the corner. 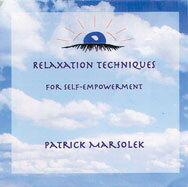 Patrick has created a number of CD’s on a variety of topics including chronic pain and other conditions. Disk #11 contained 5 tracks with a total of about an hour of listening time. Wonderful to use during a work break, at the end of the day to unwind, and even while you’re sleeping – you’re brain will still get what it needs. What we love about this – relaxation occurring on multiple levels and in a very deep way, with a lasting effect. Nothing superficial here. We all know that there are a variety of functions that our bodies perform without our being aware of, or needing our input. This is good for those of us who like a more “hands-off” approach, but not so good when trying to create optimum balance in our bodies. What the BodyTalk System has been developed to do is communicate with the various energy systems of our bodies, and through a variety of levels and methods including muscle testing, remove blocks and reinstate balance and harmony. Simply put, BodyTalk is where the rubber (quantum physics and New Age “we’re all one” philosophy) meets the road (my body). BodyTalk is based on a truly holistic approach to wellness and grounded on the “innate wisdom of the body”– health and well-being on every level is the goal, not just the alleviation of systems (which is but one result of the process). The approach was developed in the 90’s by chiropractor and energy worker Dr. John Veltheim. Dr. Maria Maricich of Quantum Healing Arts in Ketchum has been integrating this approach into her practice. Familiar with muscle testing, and having been to Dr. Maria for allergies before (which were alleviated), I had a hard time getting out of the symptom/cure way of thinking. I found that I, like so many people, have a tendency to use “natural” medicine in the same way as I used allopathic medicine – but instead of an antibiotic, I was reaching for a supplement or herb to cure me – which they were not intended to do. She asked my body and its systems many questions, none of which I needed to be aware of – or could interfere with. BodyTalk uses the element of tapping (on the head and other areas of the body) to reestablish and solidify new connections, along with other techniques. The outcome for me was amazing. While my primary symptom had been alleviated, the effects rang throughout my mind and body. Only when I was re-harmonized could I see that I had been operating in a state of constriction and fear in certain areas of my life. After the session, I simply no longer responded the same way – it was as if someone had pulled the plug on the reaction. There’s only one, real, pure noni out there and that’s Tahitian Noni. Made according to indigenous ancient practice and custom, Tahitian Noni has been described as a wonderful tonic, a miracle fruit, and – my personal favorite – “liquid Reiki.” A great all around daily immune strengthener, Tahitian Noni has done extensive research on the power of the compounds and antioxidants inherent in the fruit with positive results in virtually every system of the body. It’s good for whatever ails you, and to maintain a high state of everyday vibrancy. While many products available in the store are thin and cola colored, with an extremely bitter or watery tastes, Tahitian Noni is much more substantial, much less processed, and has a more vibrant, fruity flavor. Great mixed with water or juice, or straight up (Tahitian Noni also sells shot glasses!). Available through distributors. 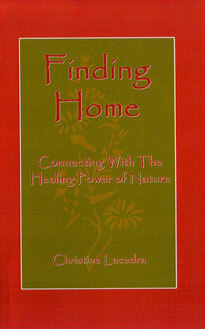 I open Finding Home expecting to find yet another book about “getting back to nature” or another self-help manifesto, and instead find an intriguing, and in-depth guide to not only reconnecting with the earth in the broader sense, but in rediscovering it inside myself. Idahoan Christine Lacedra has been involved in the healing arts for over 27 years, and her knowledge and writing are intricate, moving, and very readable. A former neo-natal nurse, Christine has a perspective of not only the spiritual seeker, but also the scientifically trained. In a unique way she is able to bridge the divide between the heart and the fact based sciences in a way that is truly eye opening. Interlaced with fabulous quotes and extensive exercises, Finding Home is well thought out, and meticulously implemented. All six senses are engaged, and our perceptions are constantly being challenged, redirected, and brought more into line with our absolute truth. A quick and powerful read at 118 pages, Finding Home is a great summer companion, with a variety of insights into who we really are, how we can return to our true state of power, and what it means to be a part of the human, and universal, condition. One of the reasons why we are so disconnected from the energetic and vital force of life is because we experience the world from a flawed point of view. Our western culture is based on the premise that the world can be understood by using our linear, analytical mind. We try to figure things out by thinking about them, by taking things apart and focusing on the individual elements that make up the whole. By doing this our scientists have reduced our universe and everything in it to a mechanical, lifeless place with no feelings or consciousness. We no longer have the sensitivity to feel the deeper meaning and purpose behind the universe and its inhabitants. The consequence is we now find ourselves alone in an unintelligent, dead, mechanical universe. Our own lives have taken on the same meaninglessness that we have given to the world we live in. Available at www.naturespresence.com, Barnes and Noble, Amazon.com and other select locations. 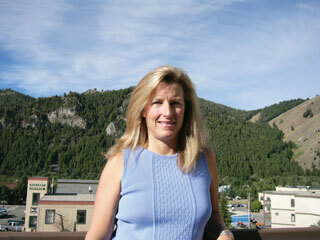 Author also holds workshops in the Boise area – see website for schedule.